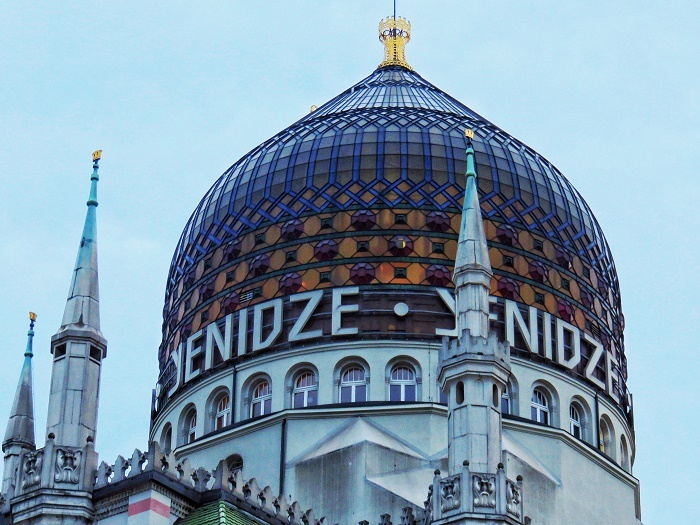 Yenidze is an old factory building that was producing cigarettes, and it is located in the city of Dresden in the Federal Republic of Germany. 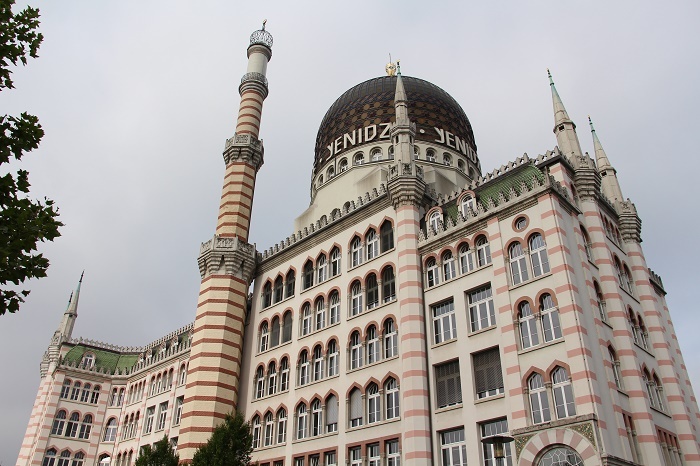 Having a unique architectural style which looks more like a large mosque, the owner of the old factory, the Jewish entrepreneur Hugo Zietz, even named the factory after the tobacco-growing region from the then Ottoman Empire. 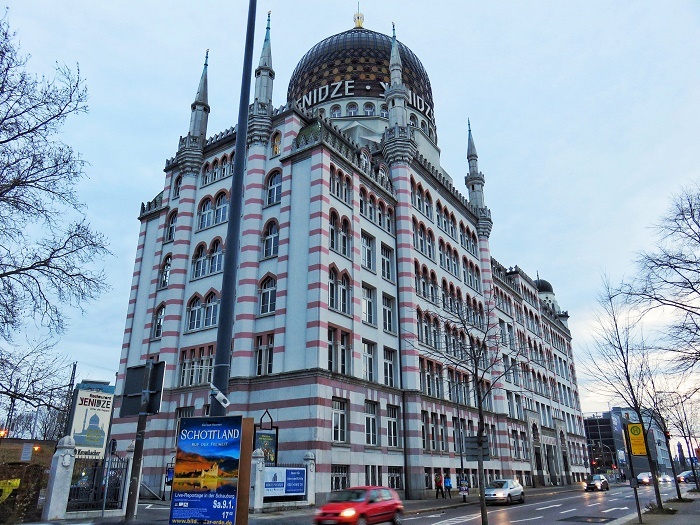 The building was built between 1907 and 1909 according to the design of the architect Martin Hammitzsch. 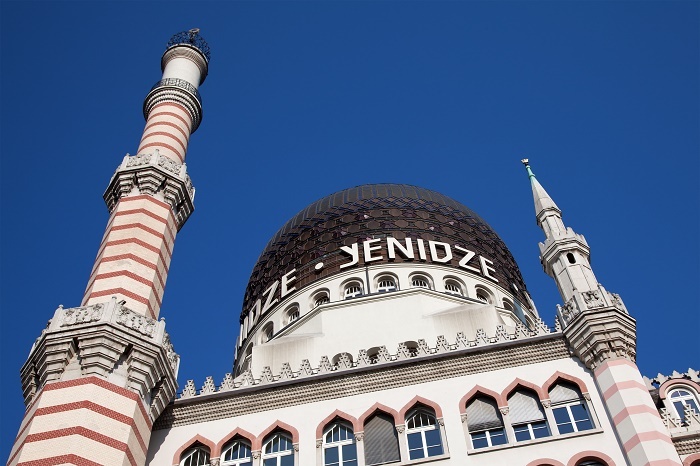 Serving as an advertising platform for the oriental tobacco and cigarette factory, the building has a large, colored dome in addition to the chimneys which resemble minarets. 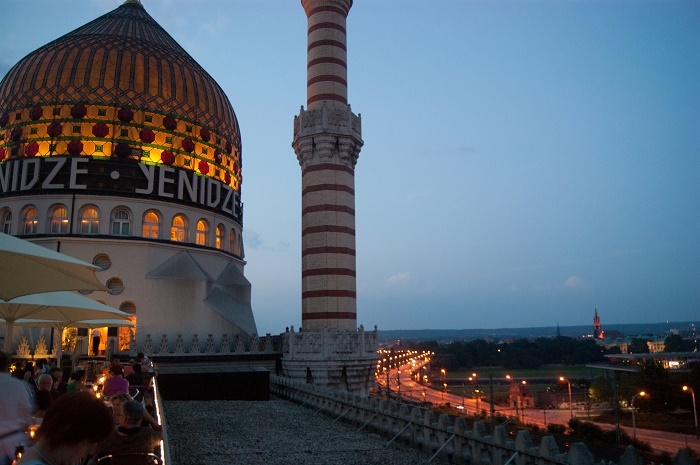 The architect’s inspiration came from the Mameluke tomb of Khair Bak in Cairo, Egypt, and Yenidze is supposed to be the first reinforced steel skeleton construction in the country. 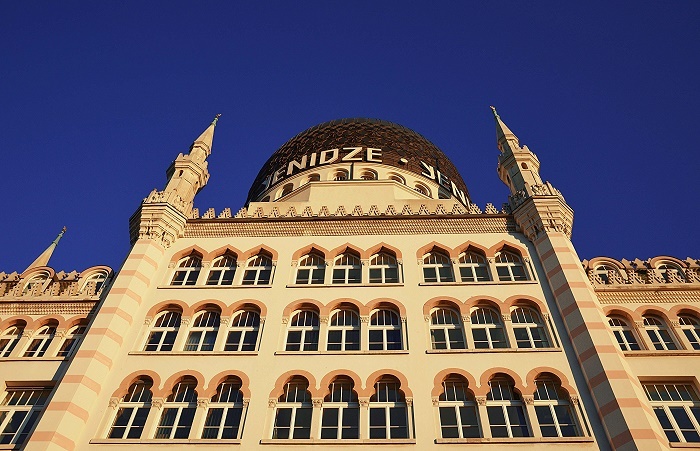 The tobacco production process was taking place on the five floors, while the relaxation and recreational areas for the employees was located within the big dome. 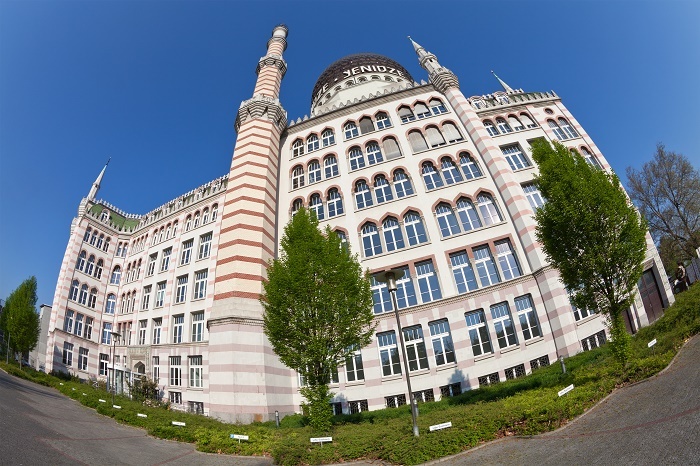 Unfortunately for Zeitz, due to the ongoing pressures from the authorities, he had to sold the building in 1924 to Reemtsma Cigarettenfabriken GmbH, a cigarette empire, but later in February 1945, the building was heavily damaged with the air raids on Dresden during World War II. 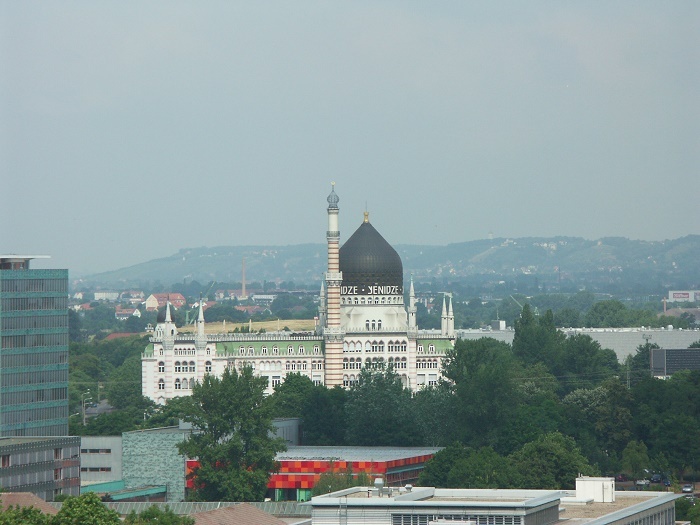 Between 1953 and 1989 the factory was used as an office complex for the then German Democratic Republic, more commonly known as East Germany, and in 1996 the building was privatized while being in a very rough shape. 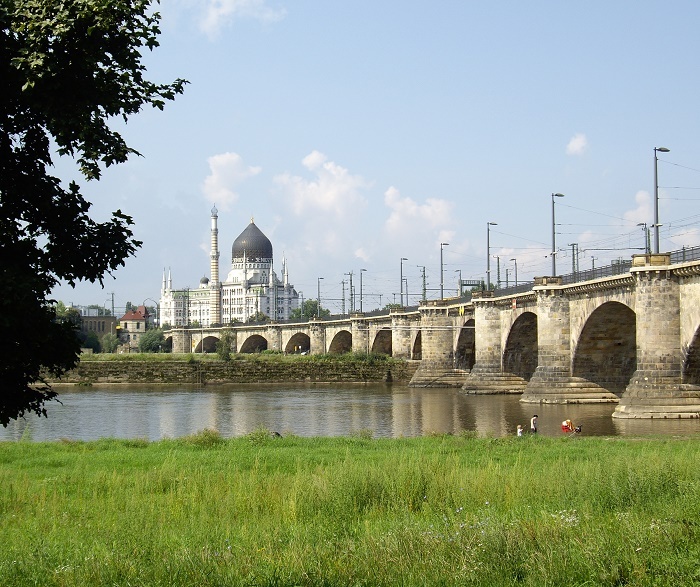 Fortunately, the entire structure was repaired and once again it was put into use as an office and commercial area. 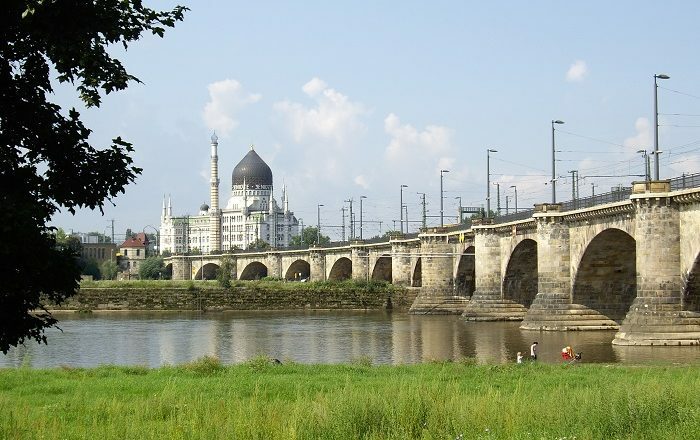 Nowadays, visitors are able to marvel the stupendous panoramic views of the city, which are quite interesting from the restaurant that is located in the dome structure, and everyone is learning a little extra about the long history of the building, and even the city of Dresden.